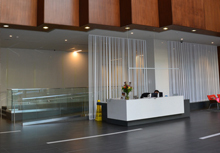 We are located at 55 St. Clair Avenue West #124, a half block west of Yonge Street and the St. Clair subway station. 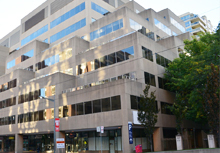 Street parking is available along St. Clair Avenue, on both sides, in front of the building. 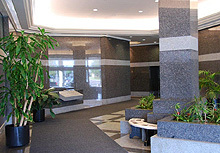 The entrance to underground parking is located along the east side of the building. We are located at 135 Queens Plate Drive #560 in Etobicoke. The building is found one block east of Hwy #27 on Rexdale Boulevard (on the north-east corner at Queens Plate Drive). Parking is complimentary. 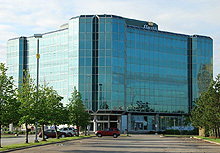 Nearby landmarks include the Woodbine Racetrack / Casino and Woodbine Mall across the street. We are located conveniently close to highways 407, 401 and 427, approximately 5 minutes from Pearson International Airport. From east: Highway 401 West to Highway 409 West. Exit Martingrove Road - turn right (north). Turn left (west) at 3rd light - Rexdale Boulevard. Building is on near right corner at next light (Queens Plate Drive). From west: Highway 401 East to Highway 427 North. Exit Derry Road / Rexdale Boulevard - turn right (east). Building is on far left corner at 4th light (Queens Plate Drive). From north: Highway 407 (either direction). Exit Highway 27 - turn south. Turn left (east) on Rexdale Boulevard (9th light from eastbound 407, 8th light from westbound 407). Building is on far left corner at next light (Queens Plate Drive). From south: Gardiner Expressway / QEW to Highway 427 North. Continue north past Highway 401. Exit Derry Road / Rexdale Boulevard - turn right (east). Building is on far left corner at 4th light (Queens Plate Drive). For transit directions, please contact the Toronto Transit Commission at (416) 393-4636 or at www.ttc.ca. For all other directions or for non-highway driving routes, please contact the office at (416) 745-1500.